With wedding season 2017 getting off to a flying start, Claire has kindly written this guest blog about her country wedding. She charted her experiences of working with an AC wedding planner for hera wedding catering and design. 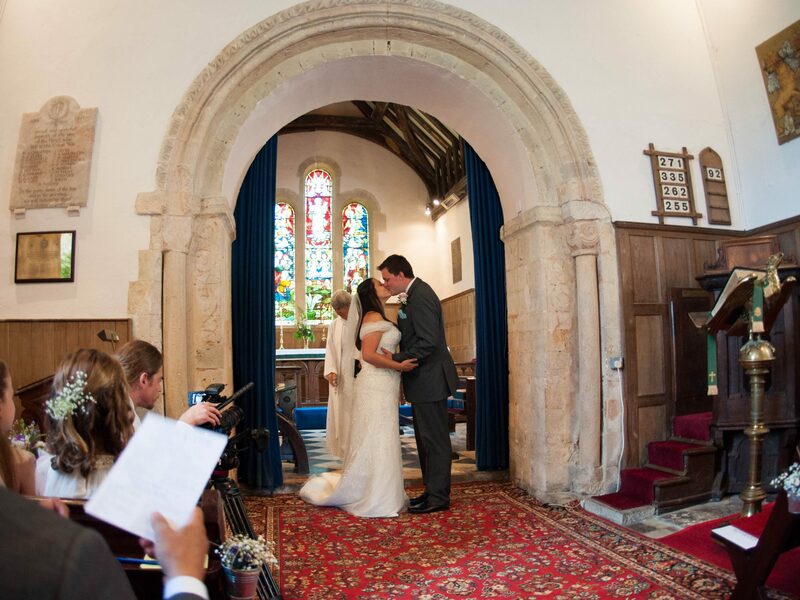 I love weddings and when it came to organising my own, I needed help bringing my ideas to life. Apart from the church, I knew I didn’t want a grand, traditional wedding with off-the-shelf catering options. I’d set my sights on a casual, fun wedding at home with country charm but no amount of Pinterest-ing could help me organise such an event that would live up to my exacting standards. Not really knowing where to start, we firstly engaged the services of The Admirable Crichton’s, not only for their catering prowess but also for their impeccable staff and experience organising unusual events; we wanted our wedding to be unusual, appear casual, and be super organised. At our first meeting, they brought up so many things we hadn’t even considered; toilets, electricity, lighting and so on. The AC recommended a great marquee company and quickly finalised our informal menu. We agreed on the décor and order of service etc. incorporating my ideas with The AC’s practicality. My husband-to-be wanted dainty canapes whereas I had set my heart on a big, hearty meal to fill people up, so the AC wedding planner devised a menu that allowed us to have both! I really wanted a ‘bake off’ style competition where guests brought along their creations and they even organised that for me. Our tasting in Camberwell was really fun and we left knowing we were in excellent hands. If you want to find out what happens at a tasting, read more here. On arrival, guests were greeted with an array of dainty summer canapes and were served endless AC Champagne in coloured flutes. Later in the day, we had a large hog roast, with salads, homemade bread, and lots more Champagne. Consequently everyone was happy and many said it was the nicest wedding they’d been too. Décor was something I had a lot of ideas about. I wanted to do my own flowers and the AC helped me source what I needed. We used a British flower company so we had a very mixed, summery palette with everything from cornflowers to geraniums. Again, my wedding planner stepped in to help bring the look together. We chose hardwood, French-style tables, glass chairs, pastel cushions and little bottles of flowers as table decorations. They cleverly suggested we brought the garden into the marquee by building over a flower bed and water feature. For extra quirkiness, our wedding planner suggested using stemmed cups as wine glasses. It worked really well and even the guys found them fun. The AC had a massive warehouse full of lovely bits and bobs to use for decoration. There was no formal seating plan and everything was very relaxed creating just right atmosphere. By night, we swapped the flowers for oversized candles and hundreds of tea lights in jars. It was beautiful by day but especially enchanting by candle light. The staff was something I hadn’t really considered, so the AC team came to my rescue again. They arranged kitchen porters, waiting staff, barmen and a Master of Ceremonies ensured everything ran to schedule. The guests had everything they needed when they needed it and there was no cleaning up! Because we wanted e a family-friendly affair, we wanted to make sure there were things to entertain the hoards of small children. The AC supplied a frozen yogurt machine and provided ‘serve-yourself’ drinks for the children which they loved and even bought various lawn games, so for the kids as well as the adults, it was a day to remember. In conclusion, it was the wedding of my dreams and it has inspired so many people since with ideas for their own celebrations, but it wouldn’t have been possible without the expertise, efficiency and creative flair of the Admirable Crichton team. As a result of the help and support of our parents, family and friends and The AC’s involvement. Chris and I had the best day ever and we wish we could do it all again.